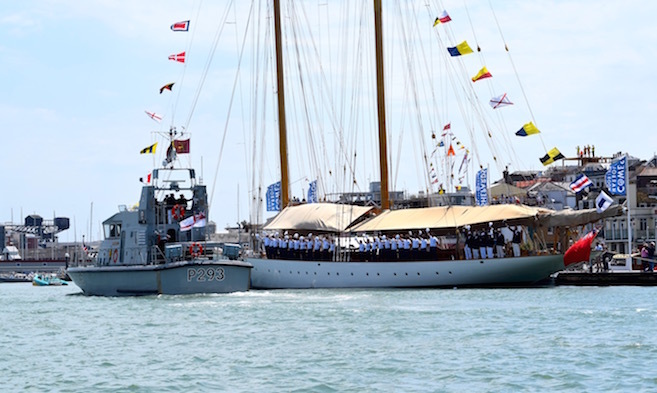 There are five options for mooring and anchoring tall ships or large yachts within Cowes Harbour. 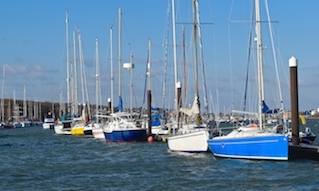 The preferred option is the Trinity Landing pontoons which are located just inside the harbour entrance and offer direct walk-ashore access to Cowes High Street and promenade. Trinity Landing is 100m long and can accommodate vessels up to 400 tonnes displacement. The depth alongside Trinity Landing is a minimum of 3.0m below chart datum with a maximum depth of 7.5m at spring High Water. C1 anchorage (see diagram below) can accommodate vessels up to 150m in length and 10m draught. 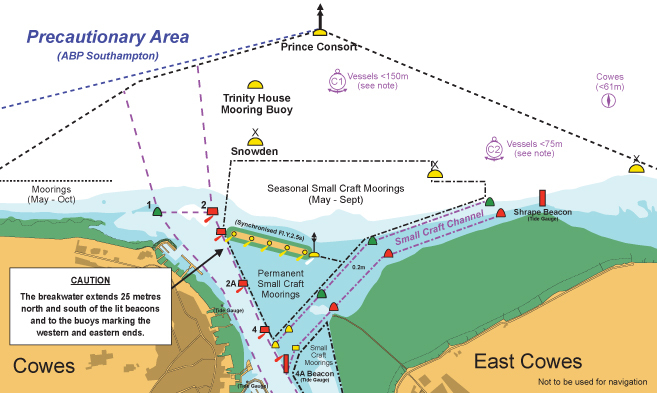 Care should be taken to ensure that your anchor and chain is at least 150m clear of the Trinity House mooring buoy as the buoy has anchor chains extending 125m west and east of its position. C2 anchorage (see diagram below) can accommodate vessels up to 75m in length but it is not recommended to be used if there is an onshore wind. The Trinity House mooring buoy is suitable for vessels up to 125m in length and is owned by Trinity House. 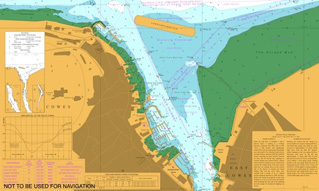 Its use can be arranged via Cowes Harbour Commission (CHC), however, it is necessary for CHC to remove the navigation light prior to mooring and reinstate the light after departure, with associated costs. 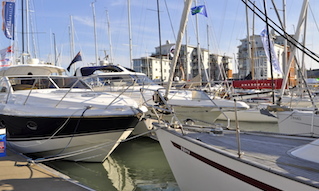 A depth of 3m below chart datum can be found on the fairway side of the marina pontoons, which can accommodate vessels up to approximately 40m in length. 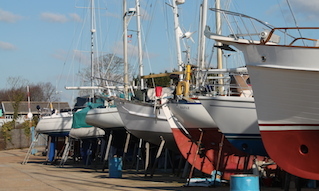 Vessels may also secure to the wall at the north end of Cowes Yacht Haven, subject to prior arrangements being made. The wall can accommodate vessels up to 60m in length. Gangway positioning needs to be planned in advance due to the rise and fall of the tide which can be up to 4m. 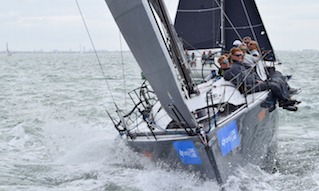 Top photo: Trinity Landing, Cowes.